I am Director of Saltbox Training & Events which I set up in 2009 to help individuals and companies to perform better, achieve more, and be happier and healthier. Saltbox provides training and development services which increase people’s self-awareness skills, confidence, motivation, and wellbeing. I also help organisations to plan and run creative, exciting, engaging employee events such as team awaydays, staff conferences, and wellbeing events. I use accelerated learning principles, creative techniques, and a hands-on approach, and make sure the training is lively, fun and colourful so that people participate more, learn better and are inspired to put their learning into practice. I draw on nature, art, music, and holistic approaches to inspire and engage others. 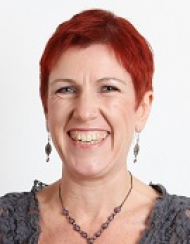 As well as being a Master TetraMap Facilitator and enthusiastic member of the TetraMap International Global Leadership team, I am an active CIPD branch committee member and am chair of the West of England branch Independent Practitioners Group. – Having a connection to the natural world is essential for creativity, happiness and wellbeing. – It is simple to understand and use but still has validity, depth and flexibility of use. – It is very visual and tactile. – It is a holistic approach which embraces sustainability and celebrates diversity. – It can be used to look at situations and challenges from different perspective. – It offers a framework for looking at ourselves, our colleagues, our workplaces and the world around us in order to live and work more sustainably. – It fits perfectly with my values, beliefs, and facilitation style. Nicki’s work on our management development programme transformed what otherwise might have been a dry subject into a challenging, interactive, energising, and thoroughly memorable course. Every manager at every level got something they valued from this course. That is a tribute to Nicki’s knowledge and skill, exceptional communications ability, and creative imagination.